Breakfast is such an important meal to start your day in the best way possible? 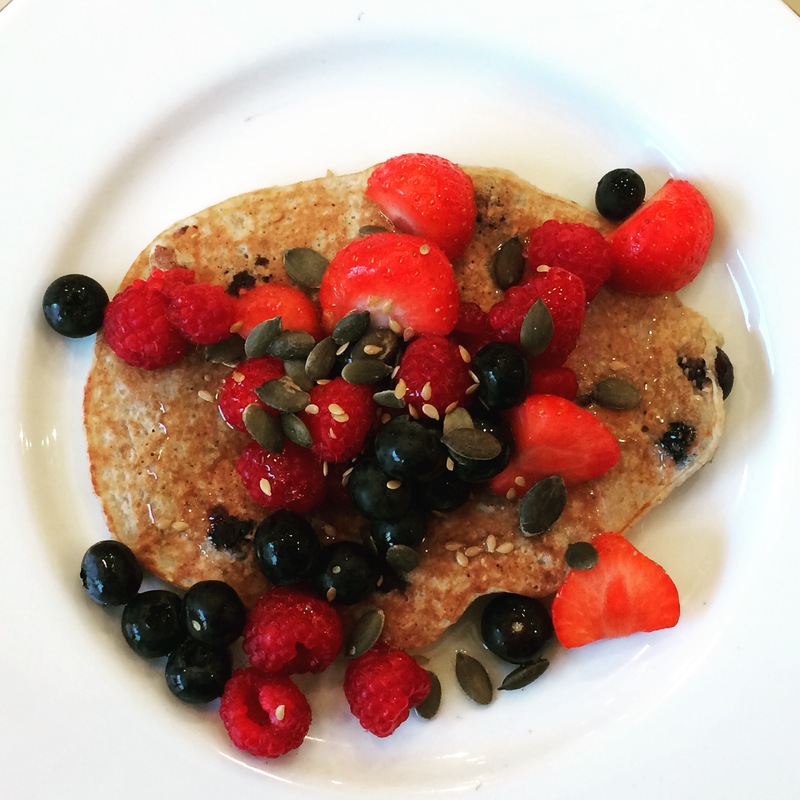 I love porridge, but when I feel like eating something a bit more indulgent, I go for pancakes. However, the pancakes I make are a bit more …. let’s say … pancakes with a twist! The are made of oat flower. To serve you can add blueberries, strawberries, raspberries and seeds and nuts.